At the Board of Education meeting on March 13th, the Board approved a consultant agreement with Actus Consulting and Training. The District would like to acknowledge and thank the El Segundo Unified PTA Council for contributing $6,500 towards this important service. Click headline for more. Actus Consulting and Training will provide a custom tailored security assessment for all school sites, as well as create and facilitate Table Top Exercises (TTX) at El Segundo Middle School and El Segundo High School. In addition, training will be provided for faculty, staff and the administrative team at each school site this spring. El Segundo Police Chief Bill Whalen recommended David Klug and Actus Consulting to provide physical security assessment and training as he had firsthand knowledge of his services. David Klug has over 20 years of law enforcement experience and nearly a decade creating and implementing programs specifically for schools on how to best prepare for violence. From active shooter events, to other types of internal or external threats, Actus Violent Intruder Training will prepare our employees by providing them a clear plan of action if faced with a worst case scenario. The Table Top Exercises (TTX) will be custom tailored for El Segundo Middle and El Segundo High Schools. This exercise is a PowerPoint driven discussion about how each school will handle a realistic emergency on campus. El Segundo High School has a table top exercise scheduled later this month and we are in the process of scheduling El Segundo Middle School for a date in April. At our elementary schools, our administrators will be reviewing their lessons learned from the Table Top exercise and Safety Plans with our Campus Resource Officer. In April or May, comprehensive Violent Intruder Training will be provided by the consultants for faculty, classified employees and administrators district-wide. This dynamic and informative presentation will provide a common sense, easy to remember plan that will build upon existing skills and abilities to handle a safety breach and crisis. As I shared in my last update, ESUSD added the following confidential and anonymous resource to assist our parents in finding mental health assistance for their child. It is important to note that this organization has changed their name from AddictionPROS.org to CareSolace.com. This group is responding to the growing concern and need for more mental and behavioral health services supporting school districts throughout California. In addition, they have added significantly more mental health resources and services. All addictionpros.org links are automatically routed to these new links. If your require assistance, please reach out to the provider and they can help you navigate the system. Architects from PBK and I have been conducting meetings with principals and a committee of faculty members regarding potential revisions to the Long-Range Facility Master Plan (LRFMP). 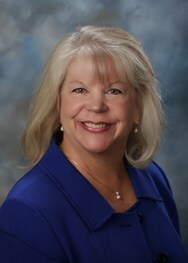 As Vice-President of the Board of Education, Nancy Cobb is the designated representative on this committee. The discussions have been outstanding and I believe faculty members appreciate having an additional opportunity to weigh in. Faculty members are providing input on additional safety measures we should consider adding to the LFRMP, as well. I have found the process to be validating regarding what the plan proposed and that we indeed have real needs that must be addressed. Following the spring break, I plan to hold two Town Hall meetings to present the proposed revisions and allow for additional parent and community input on any proposed revisions to the plans before we bring it to the Board of Education for approval. Knowing that safety is a top priority of the Board of Education, I have been providing them weekly updates regarding safety. The Board and I have informally discussed moving forward with architectural plans outlined in our LRFMP for fencing at each campus location and design of a new safe and welcoming entry portal into select campuses. It is essential that the site perimeter fencing is attractive and takes advantage of existing buildings. Our architects are preparing a proposal to provide this service which will include obtaining approval from the Department of the State Architect that will be submitted to the Board for approval. El Segundo Unified School District is fortunate to have a long, positive, and collaborative partnership with the El Segundo Police Department and keeping our schools safe continues to be a top priority. Chief Bill Whalen and I are communicating regularly and lately that has been on a weekly basis. The City funds one ESPD officer who is assigned full time as a School Resource Officer for all schools located in El Segundo. The emergency response time by patrol officers is less than 3 minutes of receiving a 911 emergency call. The El Segundo Police responds to and investigates all safety related threats, including those on social media. Chief Whalen will be speaking to the Board of Education at the March 27th Board meeting during a safety presentation. The meeting begins at 7:00 pm in the Board Room at the District Office at 641 Sheldon Street. In closing, I would once again want to emphasize the theme of See Something, Say Something and report any concerns in a timely fashion. It is critical that individuals in distress or crisis receive appropriate support, intervention, and monitoring.